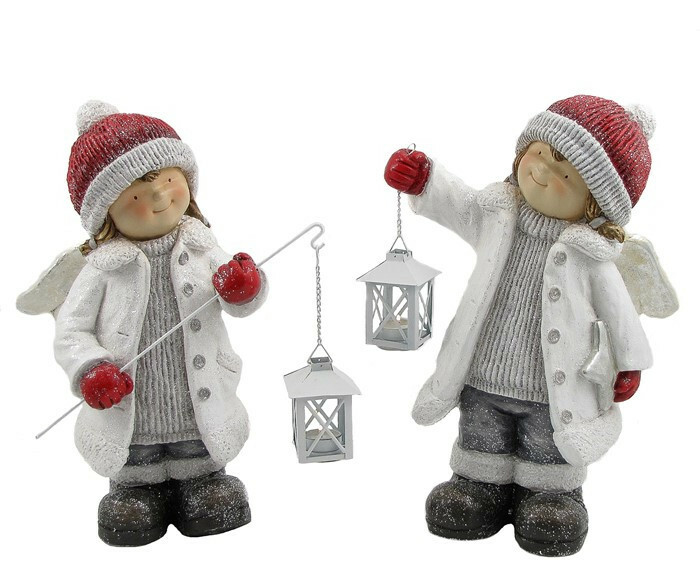 This set of Angel Tushkas features the pair wearing red hats while standing with each holding a hanging lantern. 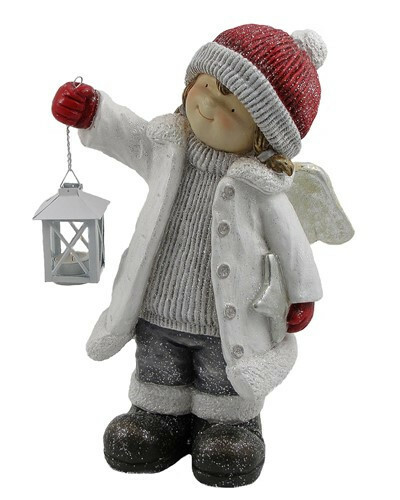 These adorable figurines are a perfect winter decoration and are a great assortment for any home. 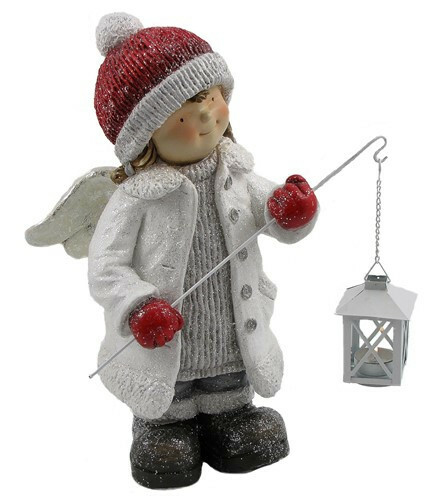 The lanterns are also able to hold a small tealight.